Many business owners find themselves in positions where they need to hire people for roles that they barely understand. If you’re an entrepreneur, you’ve probably experienced what it’s like to wear multiple hats. You’re the default salesperson, operations manager, and bookkeeper. But at some point, you’ll need to hire other people to do those tasks who, frankly, can do those jobs better than you. But how do you do that when you don’t even know what the role involves? You need to hire your first IT professional, yet nobody on your team is an expert in technology. You’re trying to find a general counsel, but you don’t even know how to differentiate the good lawyers from the bad. As a young founder without a law or business degree–hell, I majored in Brazilian literature–I run into this problem a lot. But over time, I’ve learned a few strategies to vet candidates for roles I have never (and likely won’t ever) experience. Here are the steps I follow. If you’re unsure of whether your recruit has the chops to execute, ask them to do a small project where they can show off their skills. If I’m hiring someone to build web crawlers, for example, I will ask them to build a simple one as a take-home project. If I’m hiring an ads specialist, I’ll give them a budget and a couple of months to test messaging and audience, and see how they do. When it comes to assessing their capabilities, the more chances you have to see a candidate perform, the better. At the very least, you should ask to see a portfolio or an example of their past work. It might make sense to pay candidates for a small consulting project that emulates the role. When in doubt, pick up the phone. I run at least three references for every person we hire, and I double that when we don’t have an expert in their role in-house. Ideally, you would go further than the list that they send you–after all, smart candidates will likely give you a list of people who will say good things about them. Try to talk to their direct supervisors at each of their last few roles, and even colleagues or direct reports. Those 360 perspectives are critical to the big picture of the candidate. Backdoor references can also be tremendously valuable. The honesty of a mutual connection can help verify a great hire or discount a terrible one. If you go down this path, be sure to inform the candidate that you’re planning to reach out to those contacts. Candidates may have good reasons to ask you to refrain from calling those connections, particularly if they are keeping their job search under wraps. Either way, make sure to get a candidate’s affirmative consent before conducting those reference calls. Remember, just because you’re not an expert doesn’t mean you can’t still run a valuable interview. It’s important to learn enough to ask the big-picture questions about the positions you’re hiring for. If intellectual property law is a critical component of an incoming in-house lawyer’s role, ask them what their strategy will be on that front. If you’re concerned about tax treatment, ask your controller candidate about how she’ll reduce your liability. You might not understand their answers 100%, but you’ll likely get a sense of whether the person knows their stuff–especially when you’re assessing them against other candidates. You’ll also learn a ton through these conversations, and you’ll end up being a much better manager when you finally do make the hire. You might still be left scratching your head, trying to decide whether a candidate is as great as they say they are. This is where bringing in an external interviewer can help. A startup might ask their investors to help interview their early finance or legal hires or bring in some trusted software developers to review an engineering recruit’s code. 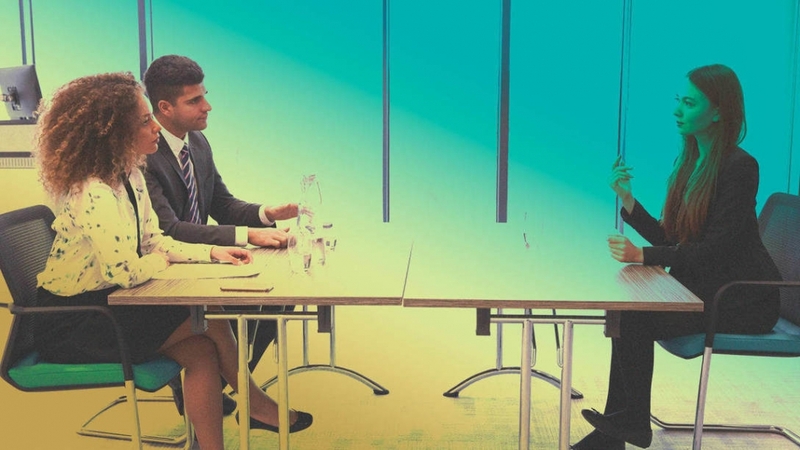 Like with any other part of the interview process, it’s critical to get several different perspectives. And make sure the interviewer is verifiably an expert in the specific role, as you wouldn’t want a newbie developer to interview a CTO with 20-plus years of experience. Sometimes, you don’t even need to hire full-time staff. Is there a more affordable way to staff the role? Can a consultant meet the need? When we first started, we decided against hiring a CFO or an in-house accountant. We instead hired a firm that handles all our finances. It costs a bit less, and we know that there are multiple people at the firm checking one another’s work. In certain circumstances, you don’t even need a single person. Our company Hatch Apps has built a platform that enables businesses to create apps without coding, thereby eschewing the need for a software developer. There are other companies, like 99designs for branding or Atrium for legal that can help you save money on an expensive hire, or wait until your business is at a point where hiring full-time staff makes financial sense. Don’t skimp on due diligence, though. Ask the tough questions, and make sure you understand their contract or terms. No hire is ever 100% guaranteed to succeed, but if you employ these strategies, the odds will be in your favor. Lastly, don’t be afraid to take your time. Your business will be in much better shape if you take a few months to vet a stellar candidate than rapidly onboard someone that you’ll need to dismiss a few months later.